There are 600+ members and it’s really taking action fast. 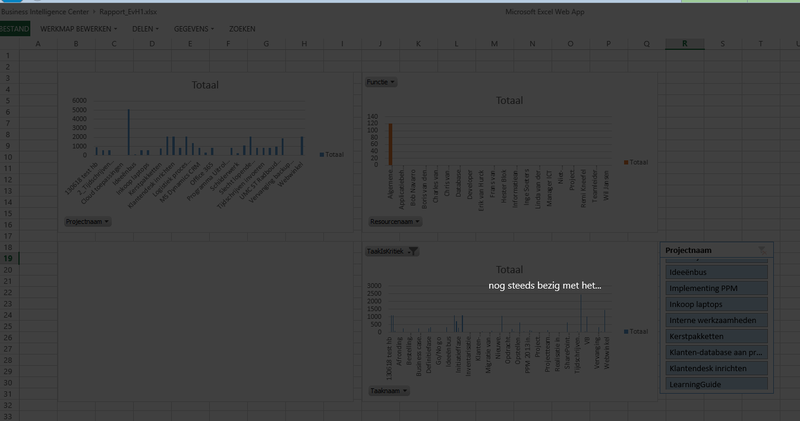 As an example: I shared this blog post with the group and almost all suggestions were put to use with the exception of SharePoint Designer changes because it was “end of life”. So the following post is a brief history on what was wrong, rather than what is still wrong. If you see anything in Project incorrectly spelled let me know, and I will put it to the team directly! Let’s start with a positive note, Dutch is a very hard language to learn, it has exception on exception on exception. And we have a difficult name: Holland is just a part of the country, The Netherlands is the actual name and people living there are called the Dutch. But come on Microsoft, you did it right in most of the earlier versions of the product, why is SharePoint and Project Server 2013 so different? Why did you Bing translate the whole deal and not put an actual translator behind a keyboard? At least, that is what I think happened, because some of the translations make you think about the spelling some kindergarten kid does “ahh so cute, but it’s wrong!”. I’m a great fan of the book series “I always get my sin” about incorrect translations the Dutch do when they are speaking English. This time it’s the other way around :). Here are my top 5 frustrating translational errors in Microsoft Project Server 2013. I’ll add the English text and what it should say in my honest opinion below the screenshot. The English text is: Let us know why you need access to this site. The correct Dutch should be: Laat ons weten waarom u toegang tot deze site nodig hebt. What went wrong: It looks like just the words were translated, but not the sentence. When do you encounter this message: you don’t have the SharePoint or Project rights to view a site, so Microsoft is kindly asking you why you think you should be here. It will send the message to your administrator and he/she will decide if you get the rights to the site. The English text is: Confirm approval. Wow, wait that’s not good! What went wrong: I think something in the programming, because the English text is wrong as well. In the example you are rejecting (weigeren) a status update. But the Dutch translation says that it’s approving the status update. Don’t worry, the server is still rejecting the update but the programmers just didn’t want to be to negative I guess. The English text: I don’t know. I am very sorry but I can’t seem to find a English version of SharePoint Designer 2013 anymore. I will edit this post as soon as I get my hands on it. The Correct Dutch should be: three different answers! The second and third sentence in Dutch are exactly the same. The spelling and grammar is correct, but what would be the correct selection here? When do you encounter this message: when you’re building a workflow using the SharePoint Designer 2013. There is an option where you you need to tell the workflow to start automatically or you provide the imput yourself. The English text: This item has progress reported on it. Do you still want to delete it? The correct Dutch should be: Op dit item zijn werkelijke waarden gerapporteerd. Wilt u het item nog steeds verwijderen? When do you encounter this message: every time you delete a task that has a percentage (work) complete value above zero. What went wrong: The Dutch don’t use the same grammar, words show up on a different spot or in this case are obsolete. When do you encounter this: any time a server needs to calculate it will tell you that it’s working on it, if it takes longer than usual it will change the message to “still working on it”. In case you’re wondering, the translation of “working on it” isn’t any better: “bezig met het” isn’t a Dutch sentence. 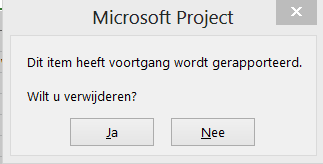 The company I work for has contacted Microsoft in The Netherlands and asked to help out with the next translation. And Microsoft has excepted the invite, so hold on guys SP1 or wave 16 will be better :). 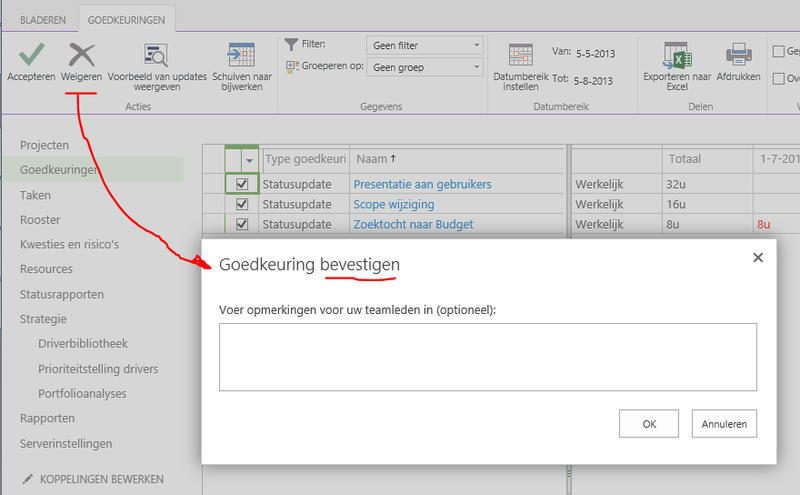 Is hier al een oplossing voor in SharePoint 2013 ? We zijn dringend op zoek naar betere standaard teksten in het Nederlands !? Hi Marcel, no the changes are still there. Microsoft clearly hasn’t read this blogpost yet haha. I am unaware of any third party tools that would change the text for you.